If you're like me, you live in a pair of jeans and a white T-shirt, even though your wardrobe is full of clothes. And even it's the comfiest outfit ever, you probably find yourself thinking that you wear the same look every single day. So here I've selected a few ways that you can wear your favorite combo without looking like you didn't make much effort. 5 ways to spice it up and unleash a bit of your creative inner genius! Knot it! This is probably one of the most fun ways to wear your T-shirt, and change it a bit from your usual look. Just knot it sideways and you're ready to go! It looks cool and adds a little something to a rather plain outfit. Add a blazer. A blazer is the easiest and trendiest thing to wear this season, and there are tons of options! You can go for the classic black or navy for a more polished look, the checked blazer (that fyi is the more popular style this season) or even a corduroy one. Just make sure is long-lined for a more modern and current look. Pop on a teddy jacket. We’ve seen teddy jackets everywhere this autumn/winter, and if you live in a cold climate, you'll probably wear them for a long time still. And apart from being the coolest outerwear piece to wear, it's warm and will give some texture to any T-shirt and jeans ensemble. Opt for a beige toned one for more versatility, it looks good with white T-shirts as well as with black ones. Copy of Go for a slogan! Go for a slogan! If you really want a change, why don't go for a slogan T-shirt? They look very cool and grab the attention of whoever is watching. Topshop or Mango make really inexpensive ones, which is probably the best idea here, because they're such statement pieces, you can get easily bored of them. Very important though: when you decide to go for one, make sure you understand what does it say (google it) to avoid any uncomfortable conversations. Jewellery. 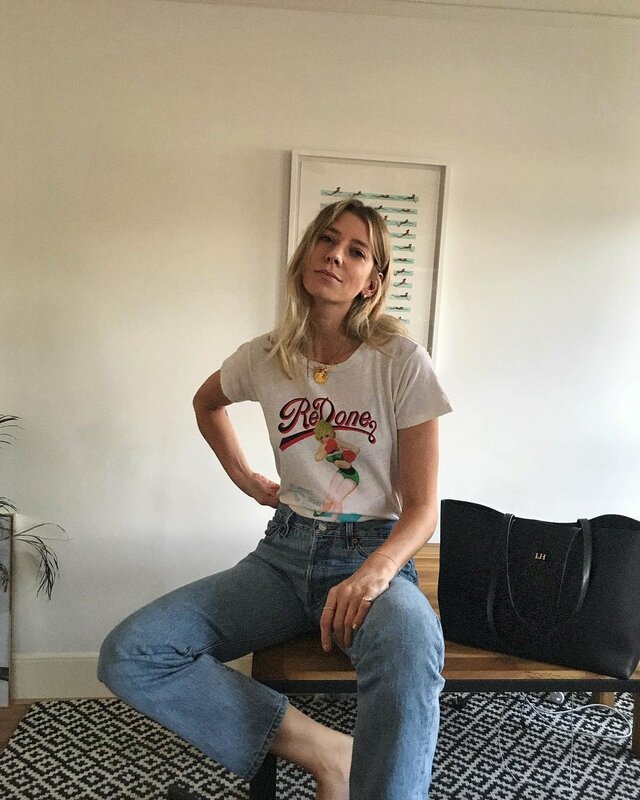 Loading up on jewellery is the way to go here, especially when the T-shirt you're wearing is a round neck one: it gives a lot more dimension and interest and it switches the look from being kind of masculine to the refined woman department. Want to make it extra feminine? Go for a pair of sling backs!